A COMPLETE WEBSITE WITH buttons linking to the eventbrite registration system and downloadable documents with detailed class information. 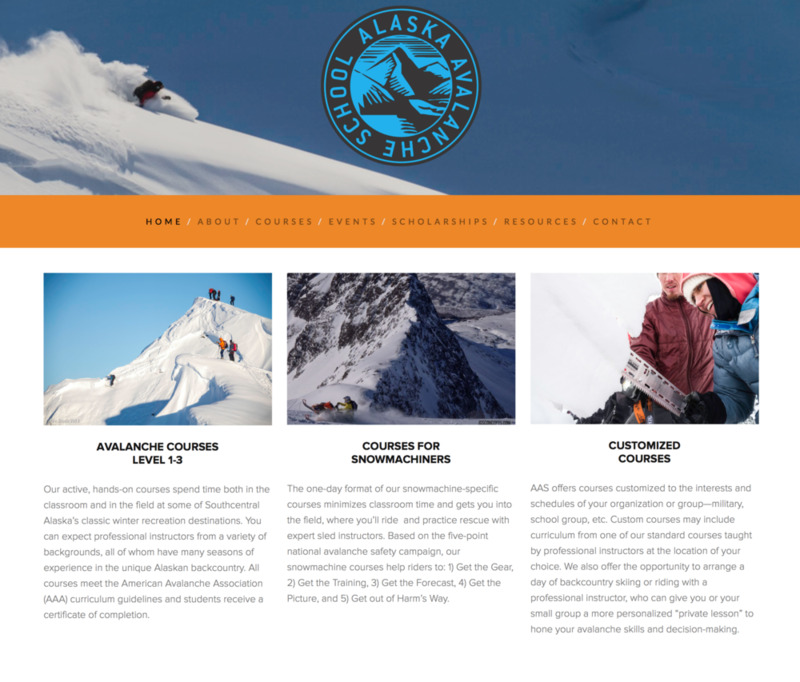 This website was especially fun to work on because of its breadth and complexity - the Alaska Avalanche School is offers a large variety of classes, hosts a broad array of events and has a diverse staff. The website interfaces with the EventBrite event management system, has links to Constant Contact email newsletter sign-up and allows for guests to make online donations to this non-profit organization. We are thrilled with our new website by Sprout Design Studio. Nicole was conscientious about building the site to suit our needs and wish list. She also made recommendations for improving our website and maximizing the impact on our audience - all while being price-conscious for our non-profit budget.